Brook Farm Cottages are a group of self catering holiday cottages located on the outskirts of Drayton near Abingdon. These 3 holiday cottages make an ideal base for a group of family or friends who are looking to visit Oxfordshire or explore the Cotswolds. The country farm shop on site sells a variety of home produced country fayre, allowing you to enjoy fresh eggs for breakfast, delicious English honey, and more. The holiday cottages were once an old milking parlour and they all still retain many original features. The Shippen is 2 storey cottage that can sleep up to 4 people. This cottage has its own attractive courtyard garden, which leads to a communal courtyard with safe play area. The Old Dairy can sleep 4 people for a cosy, family get away. The ground floor has an open plan sitting room, dining area and fully equipped kitchen. It has the original exposed beams giving much character to the room. 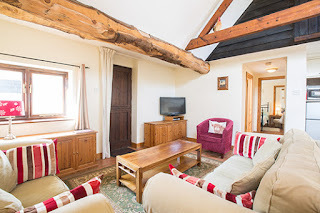 This cottage can connect with the Old Parlour if required and will then provide accommodation for a maximum of 9 people. Set on 1 floor, The Old Parlour is ideal for those with limited mobility or with young children. 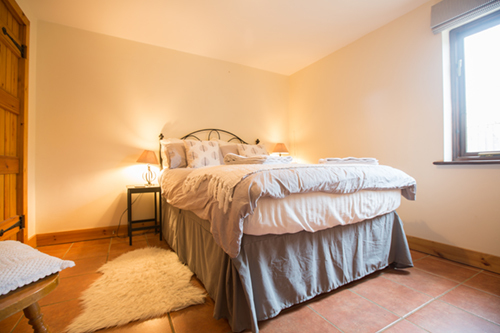 The cottage can sleep up to 4 people in a twin and a double bedroom. The historic market town of Abingdon is only three miles away. If you enjoy the countryside, the Ridgeway and the famous landmark White Horse Hill are a pleasant drive away. You can be in the Chilterns, the Cotswolds, at LEGOLAND, Windsor Castle or Blenheim Palace in less than an hour.